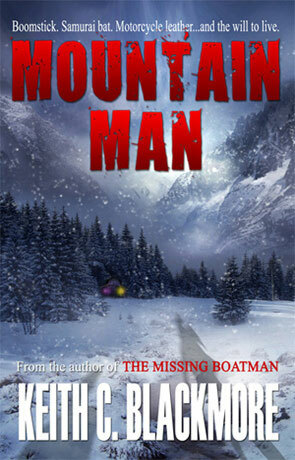 Mountain Man introduces us to a world that is now mostly inhabited by the walking undead and Augustus Berry lives a day-to-day existence that is largely composed of getting drunk, foraging for supplies and preparing for the day when the Zombie horde will come up the side of the mountain and penetrate his fortress. He knows that every time he descends that mountain to scavenge whatever supplies he can find, it could well be his last and prepares as best he can against this relentless threat. I've read a number of the author's novels now and yet I am still surprised at the quality of each novel, the way you get completely sucked in to the story and worry about the characters plight. There is a gritty, almost harsh edge to the writing that leans towards the horror genre but is tempered by these ever so life-like characters. The prose is just so easy to read and the dialogue engaging that I found myself reading two thirds of the book in one evening and even then reluctantly stopped to sleep (it would be some much easier if we didn't have too). The magic doesn't end there though; these characters are placed in ever more intense situations which are not only well written but dynamic and described in excellent detail. Gus makes the perfect anti-hero too, clearly no saint but clever enough to plan for almost every eventuality; he's a born survivor, albeit one that drinks too much. This portrayal of a man on the edge of existence after 2 years alone amongst the undead is simply incredible and feels perfectly played out. At times I was reminded of what Richard Layman attempted in his novel Quake and there are certain parallels to the story, along with the whole horror angle but Blackmore does such a better job than Layman ever did. One of the things that really appealed to me is the way this survival is described, it's very much the lone man against the world story and feels very much like I imagine I would behave should we ever be over-run by the walking dead, the author must have done a lot of research and it shows. For me this is one of the things that really sets the story apart, the thought that's gone into it is exceptional, from the way Gus armors himself prior to venturing out to forage to the way that the harsh reality intrudes on every waking moment. I often find myself wondering why the hell people don't get more tooled up in Zombie novels and films and I am glad someone else has finally considered this too. The effect of this horrific and lonely existence on the human psyche is also explored very effectively; despite having a strong survival instinct Gus clearly finds it difficult to really cope the same as anyone really would. Can any of us say that we wouldn't hide away both physically (in his fortified house on the side of a mountain) and emotionally (at the bottom of a bottle) while at the same time trying to find distractions, keep busy and not dwell on the futility of it all? I know I would. The horror elements are also nicely underplayed, less graphic and more suspenseful which does create a greater feeling of terror that those over-the-top gore zombie novels do. I've read a number of Zombie and post apocalyptic novels over the last few years and this ranks right up there with the best of them. Blackmore is an incredibly talented writer who I seriously feel needs to be snapped up by a major publisher, his work needs to be read by many, many people. Written on 14th March 2012 by Ant.